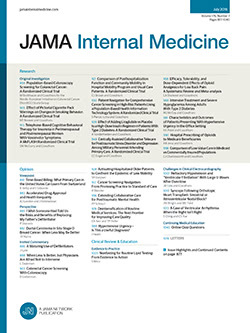 A new editorial team took over the reins at the Archives of Internal Medicine on January 1, 2004. In this editorial, I introduce the journal's new leaders and highlight some of the choices that we have made and continue to make in our new roles. Our leadership group now consists of an editor and 8 deputy and associate editors, each of whom brings a background appropriate to the goals of the ARCHIVES. In addition to my new role as editor, I am also a professor and department chair of preventive medicine and professor of medicine (cardiology) at Feinberg School of Medicine, Northwestern University, Chicago, Ill. I am a board-certified internist and cardiologist with research interests focusing on prevention and rehabilitation in cardiovascular diseases. In my 25+ years in medicine, I have practiced general internal medicine and cardiology, directed a preventive cardiology clinic, served as medical director for 2 cardiac rehabilitation programs, and been on the faculty and in academic leadership positions at 2 medical schools. I have authored over 150 articles in peer-reviewed journals and previously served as an associate editor of 2 other medical journals. In deciding to take on this lead role with the ARCHIVES, I was enthusiastic about the opportunity to influence what internists and others in medicine read on a regular basis. I was also excited about the opportunity this position affords to improve the peer review process and the quality of manuscripts that are eventually published in the ARCHIVES. I expect to work hard to make this journal the best it can possibly be and am grateful for the opportunity to continue a great tradition passed down to me by the leaders who preceded me in this role.